Have you found your child biting other kids or even adults? Biting is normal, but you can still learn how to stop children biting when you apply these 6 important steps. My twins’ preschool teacher wanted to talk at school pickup, which is usually not a good sign. But I figured, Ok, maybe one of them had a potty accident. Turns out my little guy was biting other kids. I’ve noticed it myself as well at home. He’s usually excited and tries to bite my hand or arm. 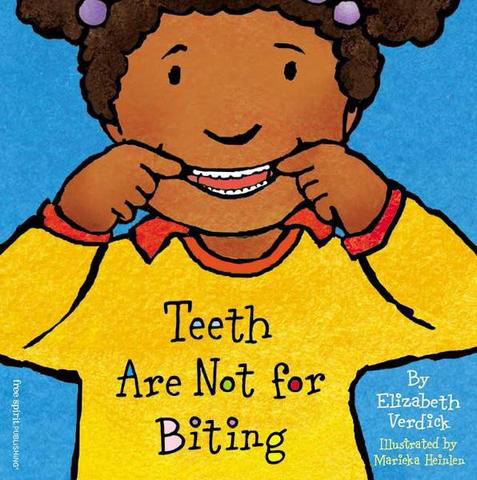 I knew from what I’ve heard and read that biting is common among many kids. A few weeks ago, I was even reassuring a friend that her daughter wasn’t bad or misbehaving because she too had bitten a classmate. As normal as biting may be, we still need to find ways to help kids stop this behavior. After all, we can use the opportunity to teach more appropriate ways to communicate. Plus, we don’t want anyone else to get hurt from the biting. Labeling your child as a biter only reinforces the behavior you’re trying to eliminate. Plus, biting isn’t about being a certain type of person or not. And by not calling him a biter, you avoid thinking of biting as ingrained within your child rather than a behavior he can grow out of. Read 6 reasons not to label kids. Every child has his or her own reasons why they bit another person. My three-year-old bit during circle time, which tells me he might’ve felt frustrated at the lack of physical space he had. What are your child’s triggers? Observe and take note of the last few times he bit others. When did he typically bite? How was he feeling? Was he overwhelmed, stimulated, or excited? Could he have been frustrated with another child? The more we can pinpoint their triggers, the more we can prevent them from happening. If physical space is an issue for my child, I know now to make sure he doesn’t feel cramped by other kids. If you’re like me, you may have found yourself overreacting when you see your child bite. After all, we may worry the other child gets hurt, or we feel embarrassed that it was our child who had bitten someone else. And we know biting isn’t good behavior, so we might feel tempted to overemphasize our point. Problem is, kids don’t respond well when we overreact. They don’t often know they’re doing something wrong when they bite. In their minds, they think the other child has done them an injustice. Or perhaps they felt too stimulated or excited. Maybe they just needed a good bite to relieve any tension in their mouth, especially if they’re teething. Overreacting might make your child feel shocked, ashamed or confused about why we’re reacting the way we are. Instead, keep calm and be firm when you speak and explain why biting isn’t right. Once you’ve kept your reactions collected and calm, explain further why we don’t bite. 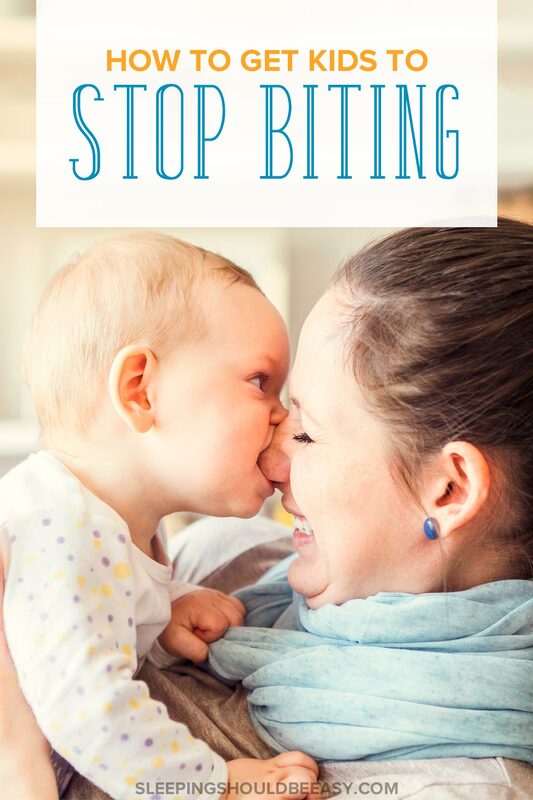 Be firm to show your child that biting is serious, but be kind to let him know you understand and won’t stop loving him. It’s a balance between being too harsh and making sure they understand the gravity of biting. Explain the reason in a matter-of-fact way to avoid your anger from flaring. Your best bet? Keep emotions out of the way. It’s difficult, I know. We’re usually mortified when our kids bite and tend to overcompensate by being extra harsh. But they need us to be calm source of love and support for behavior they may not always understand. Biting often happens because kids don’t have a sophisticated way to communicate their feelings. My son didn’t like it when other kids encroached on his space. Others might feel upset when kids take their toys or overcome with emotion when they see their loved ones. And so they bite. We’d already explained that biting hurts and isn’t an appropriate way to behave. Now our job is to encourage them to use words instead of biting. We do that first by labeling emotions of all kinds, from happy and excited to sad and anxious. The more we label the emotions we see our kids experience, the more likely they’ll begin to use those same words to express how they feel. It’s important to say what your child might be feeling, or the words he wishes he could say. They bite because they can’t articulate these feelings just yet. It’s up to us to “guess” what they feel so they can begin to formulate those words and gestures themselves. 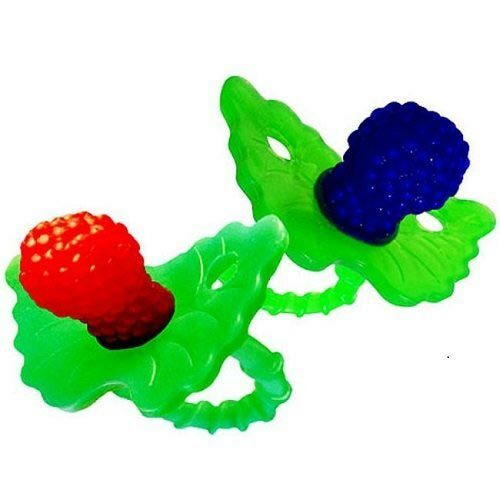 If you notice your child bites because of an oral sensation he needs to soothe, consider giving him a teething toy. I’m happy to report that my little has stopped biting. And that’s the reassuring thought we need to remember when our kids go through stages like these: It will pass. What seems like a dire circumstances they’ll forever be stuck in will likely pass given a few days or weeks time. But that doesn’t mean we can’t do anything to help it along. Avoid calling your child a “biter” and instead find the triggers that set him off. Keep your emotions calm and collected and let him know that biting is inappropriate. And finally, show your child more appropriate ways to handle the triggers that make him bite, like using words and teething toys. Your child will find ways to better cope instead of biting—and you just might avoid another dreaded conversation with the teacher. Tell me in the comments: Did your child bite others? What tips worked best to help him or her stop biting? 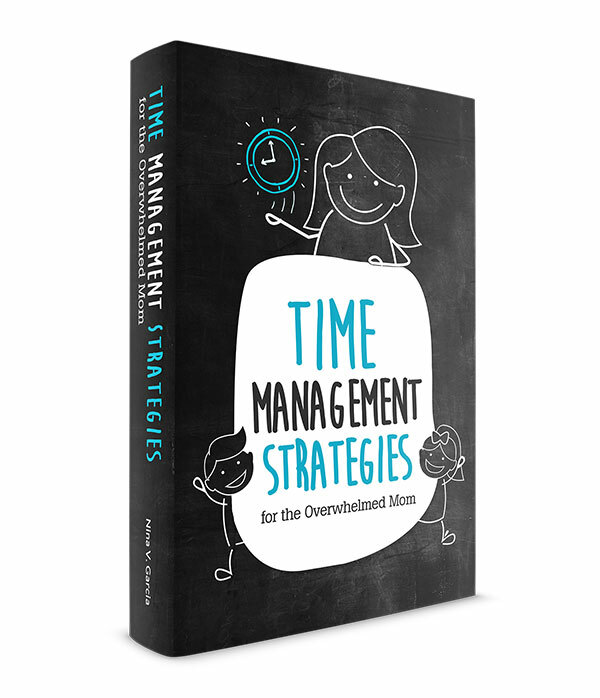 These are all great tips to keep in mind. Even though my kids have never bitten anyone, I have seen this behavior from my aunts son (my little cousin). These are helpful tips to share with her! My daughter use to be on the receiving end of the biting but she has turned a corner and now she’s the biter. I don’t know what to do but I have been putting her in time out. I really don’t think that talking nicely to her will work. I’ll try anything. The other day she bit a baby at the park. Now I’m scared to take her anywhere where there are other children. We’re at a loss! Our 14 month old daughter bites us all the time! She usually does it when she’s excited, but lately she even bends down to bite my shoes! We constantly say no biting, and redirect but nothing is helping. I honestly don’t think she’s trying to be mean. Could it really be a teething issue? 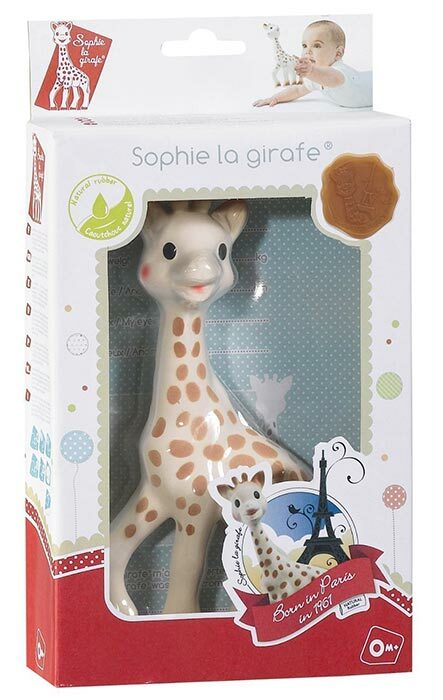 She never seems that interested in teething toys when we offer them, even freezing them. Hi Amber! You’re right, it doesn’t seem like she’s trying to be mean or defiant. Does she have a favorite toy that she carries around with her, like a stuffed animal? Maybe you can redirect her to hold or even bite the stuffed animal when she’s excited. 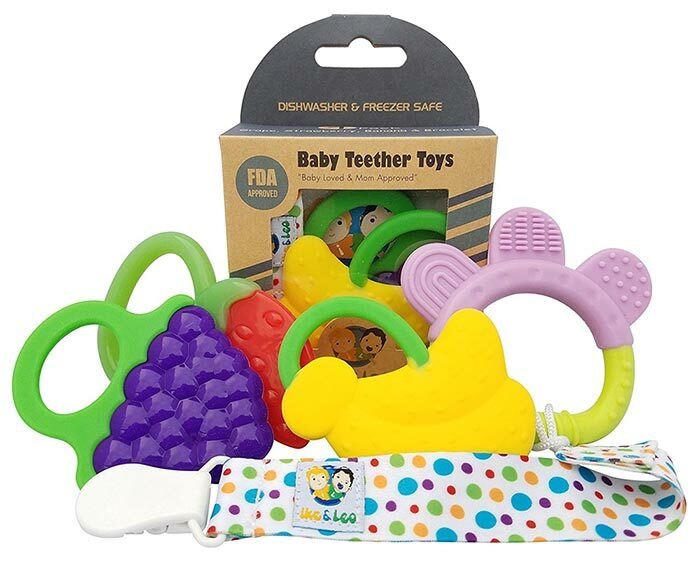 Maybe the teething toys are too unfamiliar or she’s not taking to them, but if she has a favorite toy she always carried around anyway, that could be a good alternative to try. Plus, it can be consistent, so that she knows whenever she has this urge to bite, she has this one constant alternative you’ve been drilling into her to bite instead. And of course, try to explain other non-biting alternatives as well, such as labeling her excitement (“You’re excited!”) and clapping your hands, so that she can perhaps clap her hands instead when she’s excited as opposed to feeling the urge to bite.